We are so happy to officially launch the Marici Fellowship with an amazing inaugural event: a full day of caring by sharing led by H.E. Avikrita Rinpoche on July 21st. Preparation for the event begins Friday July 20th with the filling of backpacks. Then on Saturday, July 21st, the main event begins: we will distribute backpacks filled with necessities to those living on the street, and in the evening we will serve dinner to several local homeless encampments. Join us in following the compassionate vision of H.E. Avikrita Rinpoche in engaging our practice by bringing compassion and help to those who need it most. If you are interested in participating, please read the schedule of events below, then fill out the volunteer form at the bottom of this page. Here is the general schedule for the days of the event. 8-10am: Food Preparation teams begin work on lunch. 11-1pm: Food servers leave for homeless villages. Backpack teams organize for backpack delivery. 2pm: Backpack teams leave for backpack delivery, food teams clean up. 5pm: Backpack distribution teams return to Monastery; tea and snacks. We are looking for help in all aspects of the event, from setup and food preparation to food service, and drivers for delivering food and distributing backpacks. If you have the time or talent, please fill out the volunteer form below. If you can’t make the event in person, you can still participate through the donation of needed items or a monetary donation for the purchase of materials. Monetary donations are a wonderful way to help, and will be used to purchase food and items for Marici Fellowship giving events. Please fill out the following form and we will contact you to get you set up with the event. The more information you provide, the better we will be able to understand your interests and get you assigned to an appropriate task. 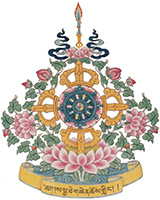 If you would like to contact us, please send an email to marici@sakya.org and we will get back to you right away. Thank you for spreading the Dharma throughout our community!